As if the draconian new neighborhood compatibility rules aren't enough to kill your remodeling plans, Boulder City Council is trying yet another approach. "Beginning next year, building a new home, an addition or a business in Boulder could cost a lot more if the City Council decides Tuesday to move toward changing the way new development is taxed." In addition to excise taxes on development, the new scheme would assess a fee based on... you guessed it, house size. "For the first time, such fees would be based on the square footage of new residential development and the net additional square footage of residential additions, rather than the current tax structure based on the number of units. Fees for commercial construction would be assessed based on the type of business and its projected impact on city services and growth." Right, because the greater the square footage, the more demand is placed on libraries, parks, police and fire departments? That makes perfect sense. "If the council likes the idea, Richstone said, it could then use the "freed up" taxing capacity to increase the multi-family and non-residential development excise taxes and establish a new park-land excise tax of $1,060 per single family unit and $737 per multi-family unit. The council will also consider whether to put an issue on the November ballot asking voters to remove the residential component of the Housing Excise Tax, while at the same time dramatically increasing the non-residential component over five years." Freed-up taxing capacity - what is that? 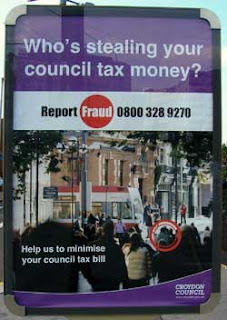 And why is Council giving with one hand and taking away with the other? This is just smoke and mirrors. "'It's the jobs that are creating a lot of the housing burden,' Appelbaum said. 'They (businesses) should be chipping in.'" I can only hope this quote was taken wildly out of context. We should be thankful that businesses are still willing to create jobs in Boulder, not trying to tax them to death when they need more space. In a time of economic turmoil and uncertainty, communities across the country are desperately trying to incentivize companies to move there and create jobs. Meanwhile, Boulder City Council is looking for new ways to increase taxes because of a supposed housing burden? "Depending on where the council's discussion goes, the development taxes and fees on a new single-family house could range from 11 percent to 23 percent more under the proposal. Fees for a multi-family home could increase an average of 17 percent to 38 percent. Commercial development fees could decrease by an average of 5 percent, or increase by as much as 86 percent in the first year, according to a city study." So which one is it? Increase or decrease? Somehow... I think it's more likely to increase, don't you? Over the years, I've come to believe in a general rule of thumb when it comes to taxes and subsidies. We will get less of what we choose to tax. We will get more of what we choose to subsidize. As a local example, consider that Boulder has a really nice homeless shelter. Is it possible that this is why there are more non-resident pan handlers on street corners, hanging out on the Pearl Street Mall, and camping in our parks? Here's another example: Tax the Rich, Lose the Rich. Along these lines, if you want less housing (and related jobs), tax it more. We already have some of the most restrictive development rules in the country. Is making it even more expensive really a good idea now? In the midst of the worst housing downturn in history, with even well established firms filing bankrupcy, house prices still falling, unemployment still rising, and foreclosures still at record levels, why is City Council so determined to make it worse? Several factors seem to be at play; 1) Despite obvious signs of an imminent economic downturn, Council completely missed the mark on tax revenue projections, 2) Council is hell bent to limit house sizes, irrespective of economic consequences, and 3) Council is against higher density, despite the fact that it's really the only viable long term solution. The likely result will be more incompetent attempts to make things better, in which they are likely to only make things worse. If you care about these issues, I encourage you to come to tonight's City Council meeting. And you better also get moving on your remodeling plans. p.s. Silver Fern Homes donates 5% of our gross commissions to local non-profit organizations through the Pay It Forward program. We believe this is most generous program of its kind in real estate. Homelessness in Boulder is a serious problem and the Boulder Homeless Shelter received a large donation from the Pay it Forward program in 2008. We also recently invited the Boulder Carriage House to a Meetup to speak to us about the causes of homelessness.